Cuba - 2009-BK-112 CUBA 2009. 1$. JOSE MARTI. 5 CONSECUTIVE UNC. 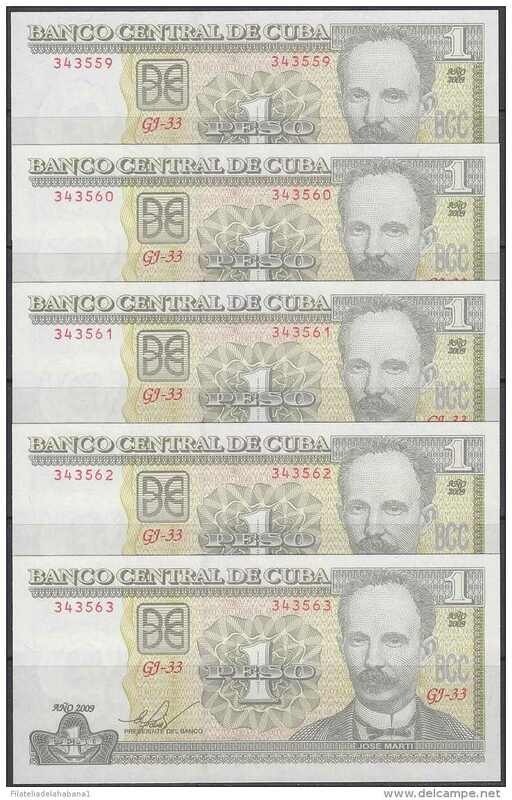 1988-BK-21 CUBA 1988 1$ JOSE MARTI 3 CONSECUTIVE. 1896-BK-101. 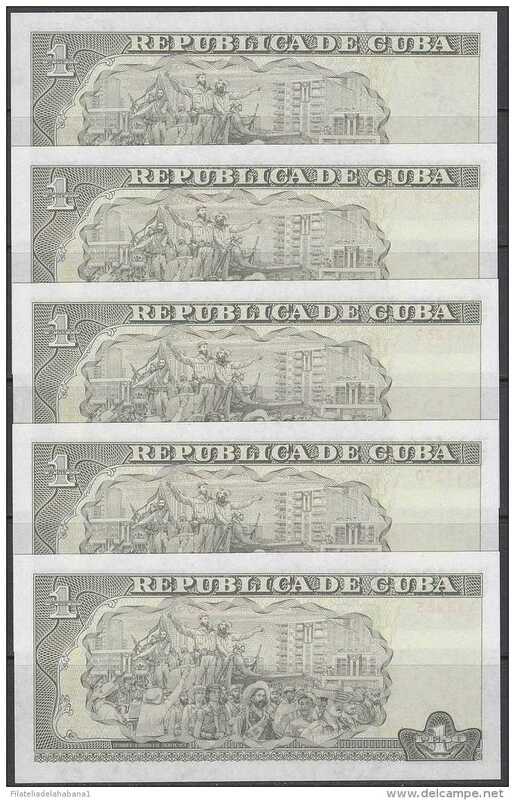 ESPAÑA SPAIN CUBA. 1896. 10$ PLATA. VF PLUS.